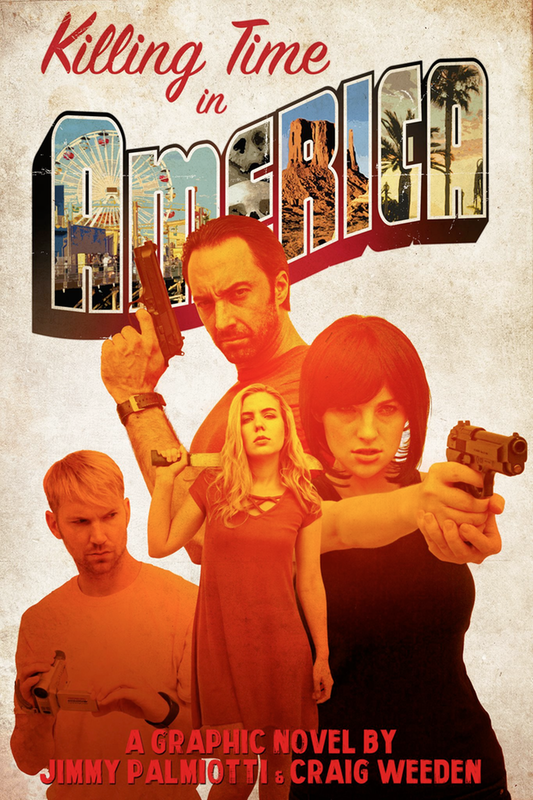 KILLING TIME IN AMERICA- a 112-page hardcover ADULT graphic novel by JIMMY PALMIOTTI and CRAIG WEEDEN with art by JUSTIN NORMAN. 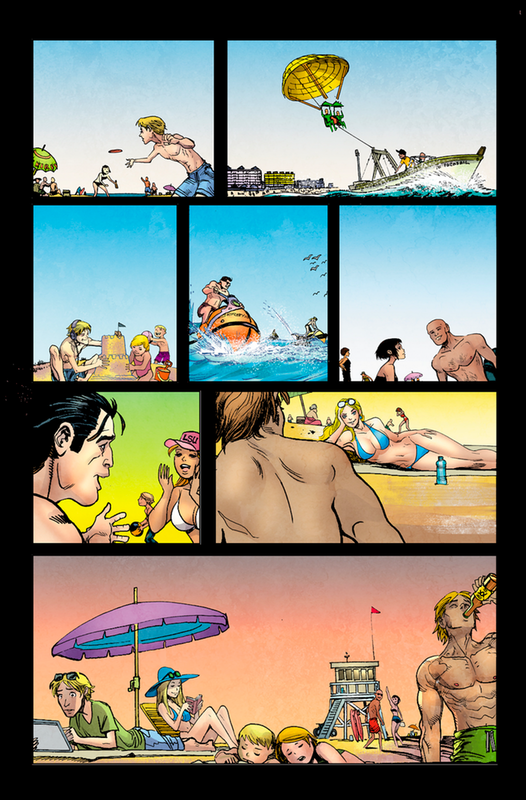 Jimmy Palmiotti (Harley Quinn, Jonah Hex, Painkiller Jane) and Craig Weeden (Mia's Gift, Diamond Payback) are raising funds to produce a hardcover edition of their newe112-page graphic novel entitled: KILLING TIME IN AMERICA. This story follows a group of European killers, posing as a vacationing family, coming to the United States to film their killing spree and the detective that is after them. This story contains graphic violence and sexuality and is for ADULTS ONLY. This book features the art of Justin Norman aka Moritat (Jonah Hex, Harley Quinn), the colors of Paul Mounts (Avengers, Harley Quinn, X-Men) and the lettering/design of John J. Hill. Tiers available for backers range from digital versions for those overseas who face high shipping costs to signed editions, exclusive prints, limited Amanda Conner (Harley Quinn, Before Watchmen, Painkiller Jane) covers and original art by the team including Dave Johnson, Amanda Conner, Jimmy Palmiotti and another mystery artist. 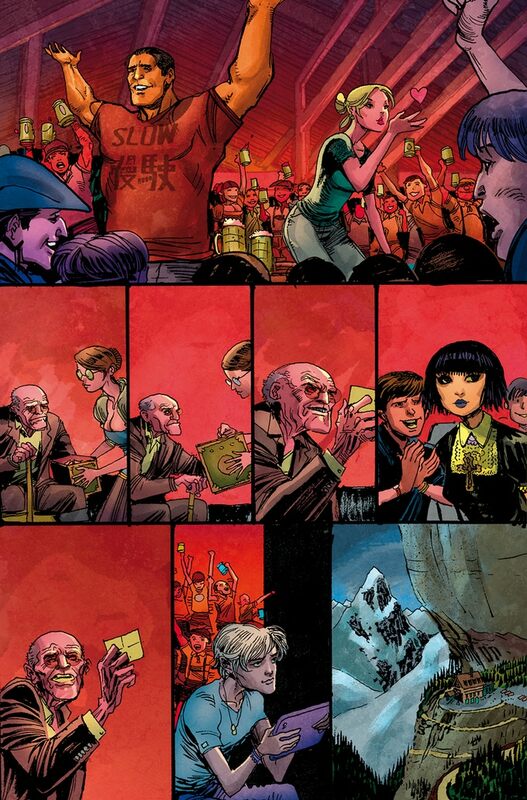 Check out the unlettered pages from the book. The red lines in the art are for the Kickstarter campaign only and will not be in the book. The bars are required by Kickstarter for the adults-only main page.